Posted on December 16, 2013 at 4:05 pm. Optimus had provided professional healthcare design services to Glens Falls Hospital for a number of years on a variety of projects when the hospital requested our assistance with its Wilton Medical Center at Exit 16 on US Route 87 (the North Way). In 2012, Optimus prepared a master plan to expand and maximize the long term healthcare development for this eight acre medical campus. 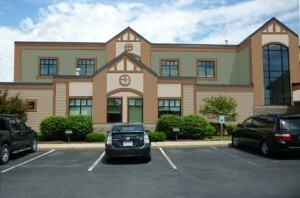 A new eye surgery center had been proposed for attachment to the existing Medical Center. This compromised the existing building, as well as the long term development on the site. Optimus addressed this by locating the ASC in a position to anchor a new larger medical building. 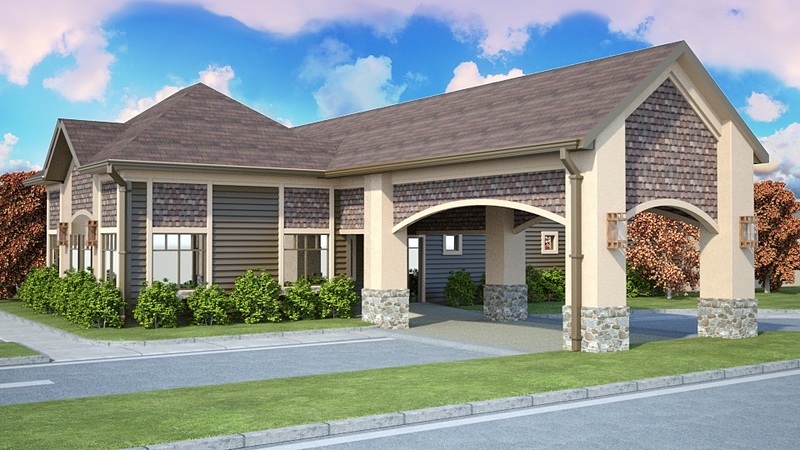 Before designing the Eye Surgical Center building, Optimus studied exterior design, details, finishes and colors that would unify the new Eye Surgical Center with the existing Medical Center building. The above photos show this process. The original Medical Center colors were tan and brown which did not reinforce the Adirondack character that this gateway medical campus deserved. The Eye Center photo above depicts the character that Optimus identified as being most appropriate and effective for this north country campus. The Medical Center will eventually be painted to match the Eye Center which opened in 2013.